Home to our youngest learners, Children’s House helps students categorize and make sense of the world around them. Spacious classrooms feature areas dedicated to developing skills in reading, writing, math, science and geography. Everything has a purpose: all of the materials selected help children develop a foundation for future learning and growth. When you visit, you’ll hear the phrase “grace and courtesy.” This is more than manners: it’s all of the activities that facilitate successful social and life skills. Through grace and courtesy, Children’s House creates an environment where helping, caring and responsibility develop naturally and appropriately. As soon as you walk in the door, it feels like home…like a family. 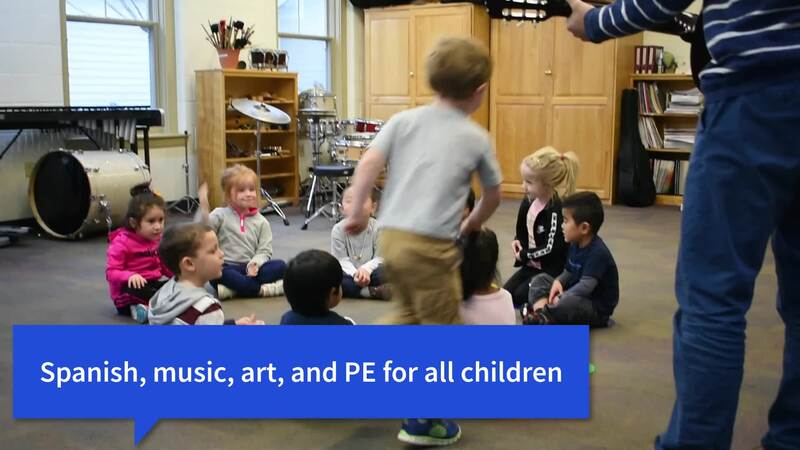 Our program includes art as well as specialists who teach Spanish, music and physical education. At a critical time in their development growth, the Children's House focuses on the whole child. Learn more about our entire campus.